I’ve been working on quite a few projects lately for half a dozen clients and Murphy’s Law being as fickle as it is, they all came in at once! 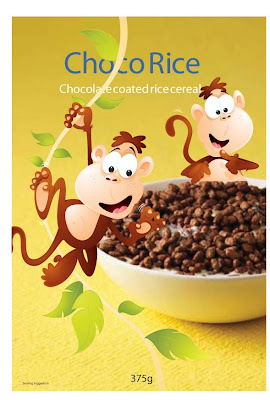 This image was for a new range of own brand cereals for a UK supermarket. I seem to be drawing a lot of monkeys these days. Maybe they’re trying to tell me something! Previous StoryAt the end of the day…..